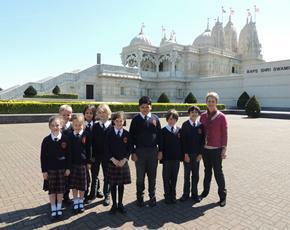 Year 3 enjoyed their visit to Neasden temple on Tuesday, 21st April. The day gave them an understanding of how the impressive building was created in 1995 largely by volunteers using imported marble from Italy and limestone from Bulgaria. 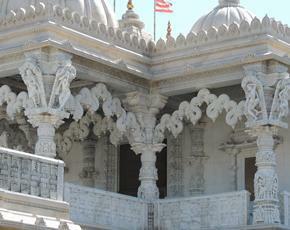 The intricate carvings were completed by experienced stonemasons in India before being shipped to London to be assembled. 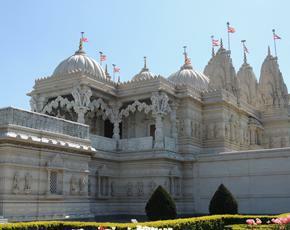 The temple will have its 20th anniversary in August this year. With a visit to an exhibition, a walk around the temple itself in addition to being spectators at a ceremony, the children had lots of questions to ask and conducted themselves superbly. Having joined the trip myself this year, I felt proud of the children who represented the school so well and to receive praise on their behalf from the staff who conducted the visit. Well done Year 3!